Get Involved! | Volunteer for the APPT. Join an APPT Special Interest Group Today! 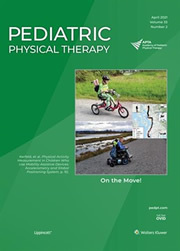 Mission: Advance pediatric physical therapy through excellence in advocacy, education, and research. Vision: Optimize movement for lifelong meaningful participation of all children.